Media who want to be part of the 2015 The National Arts Festival are encouraged to apply for accreditation. Bookings for the Festival, which runs from 2 July – 12 July, opened today. 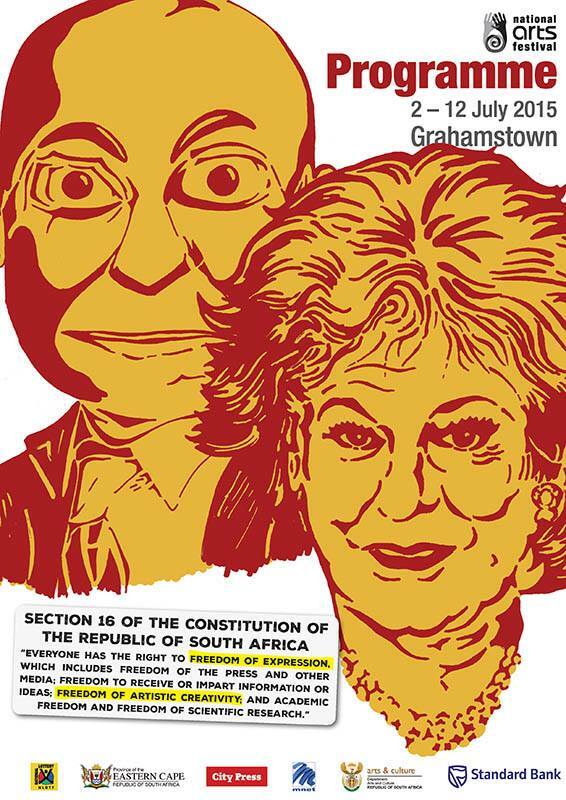 This year, South Africa’s favourite arts festival will focus on satire and freedom of expression and in its 41st year has a main programme that will pay homage to some of the country’s most important living and past legends. Interested journalists should go to the National Arts Festival website – www.nationalartsfestival.co.za, and apply for accreditation via the Media Centre (top right link). Please complete all fields, and note that application does not necessarily mean automatic accreditation. The media office will confirm receipt of applications with all media who have completed their forms. At the Festival, accredited media will receive press passes, and will have access to the media office; kitted out with workstations, internet access, telephone facilities, and access to production photographs and information where available. Interviews with artists can also be set up through the Festival’s media liaison team. Media accreditation benefits include the opportunity to apply for a limited number of complimentary tickets to review performances on the Main, Arena and Fringe programmes (a press pass alone does not guarantee access to shows). All media (including photographers and TV crews) are required to request tickets in advance for all the shows they would like to attend. Please note that the Festival has changed its booking system and is no longer using Computicket. This also means that many of our ‘backend’ systems have undergone changes, some of which may affect you directly. Once accreditation has been approved, media are encouraged to submit their ticket requests to info@thefamousidea.co.za as soon as possible, on the template provided by the media office. Instructions will be given with confirmation of accreditation. Allocations will be made on a first come-first served basis, so journalists are encouraged to get their requests in as soon as possible. The online programme is available for download from the Festival’s website. Hard copies of the booklet are available in selected Standard Bank and Exclusive Books branches from 11 May 2015. Booking is open for the public via www.nationalartsfestival.co.za or 0860 002 004. Browse the Festival website for travel tips, and accommodation options in the Eastern Cape Cacadu District and make sure you book early to avoid disappointment! Please note: Accommodation and travel arrangements are for your personal / company expense. If are not attending, but would like to receive information about the Festival, please contact the media office via info@thefamousidea.co.za to be put on our distribution list. We look forward to working with you on yet another 11 days of AMAZ!NG!